Game Symphony Workshop: Creative Pedagogy for Music Educators trains music educators from diverse disciplines to teach improvisation and composition. The course includes examples of learning activities, case studies, and follow-up support. The class is taught by saxophonist, author, and SPU faculty member Steve Treseler and special guests. 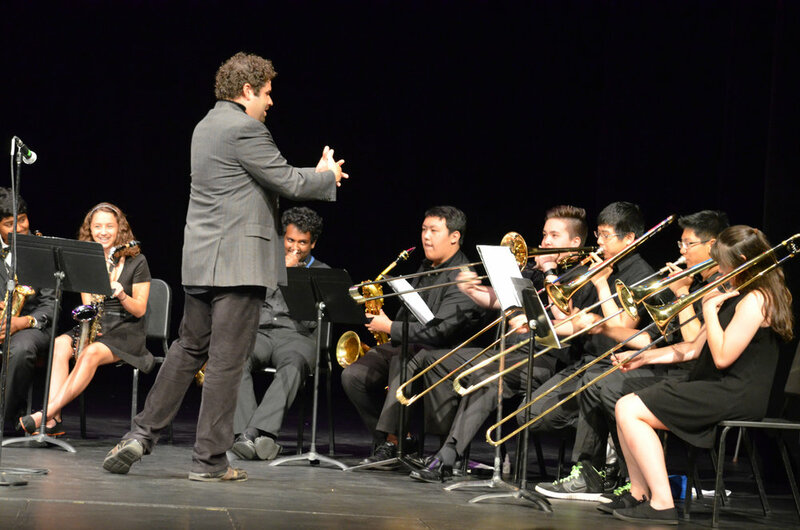 Steve has designed innovative improvisation curriculum for music programs across the country. Community-building games and activities introduce creative practices in a fun and dynamic environment. These games ease fears, engage every student in the group, and help students quickly generate new music. Students can quickly channel their skills into fresh new musical ideas by limiting musical elements like pitch, rhythm, register, density, dynamics, and tone color. Overview of material from Steve’s book Creativity Triggers for Musicians. Through games, ensembles, and exercises, we will discover how the ability to improvise is fundamental to understanding the language of music. The activities in this session are applicable for students grades K-12+ and are engaging elements to integrate into your classes and rehearsals. Experience an effective method for teaching jazz improvisation rooted in rhythm, thematic variation, audiation, and call and response. Help students producing their own music with a laptop. Lauren will give an introduction to software, equipment, digital audio workstations, and midi. Intro to group composition through non-traditional notation. Includes examples and case studies.